Noxious odors are an inevitable part of life in the city, from rotting trash and cigarette smoke to the sweaty guy sitting next to you on the subway eating Chinese take-out. It’s even more of a problem if you’re particularly sensitive to smells, and a colleague’s over-application of perfume can trigger debilitating headache. 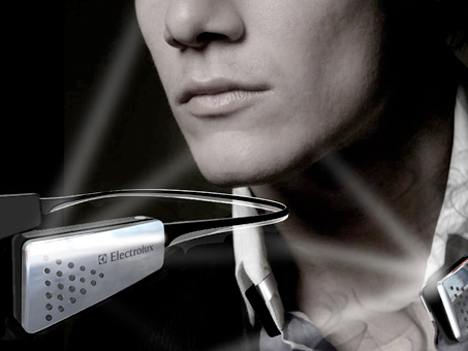 This air-purifying collar, a finalist in the 2013 Electrolux Design Lab, aims to eliminate unwanted smells and provide aromatherapy, too. 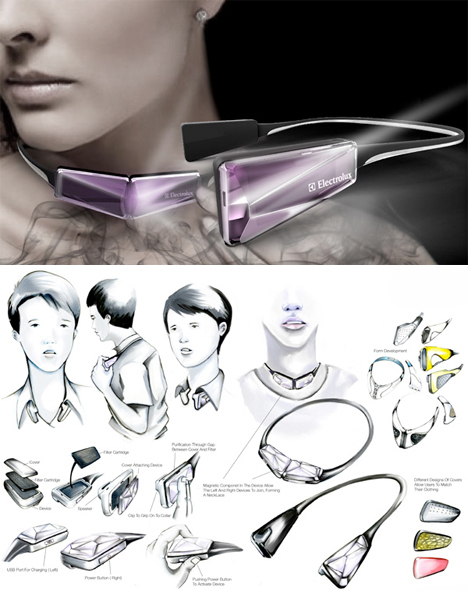 The OZ-1 is a portable air purifier that sits around your neck, looking a bit like a pair of headphones. 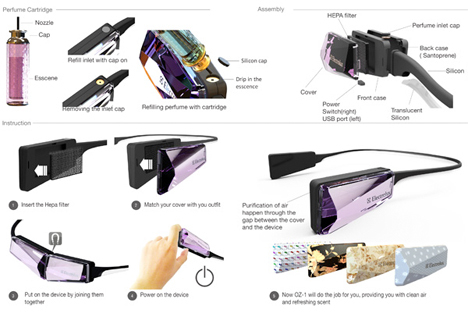 The device has a built-in ozone generator and HEPA filter to clean the air in the immediate vicinity of your face, so you never have to smell anything bad. Of course, it’s also going to block out good smells, like the food you’re about to eat, so you’d want to take it off occasionally. The HEPA filter also traps dust and particles, so it’s good for allergy sufferers, and the device releases an oxidant to neutralize harmful gases in the air. An integrated smoke sensor detects smoke so it can trap and neutralize cigarette odors before they latch onto your hair and clothing. 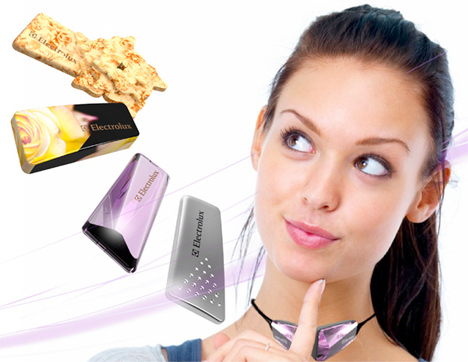 It also includes perfume cartridges, so you can walk around with your favorite scent in the air at all times. A series of decorative skins makes it almost like a piece of jewelry. The OZ-1 is just a concept, for now, but it wouldn’t be surprising to see it on shelves someday soon.